Not less than 275 indigenes of Edo state lured to Libya by Human Traffickers returned to the capital city of Edo state today. 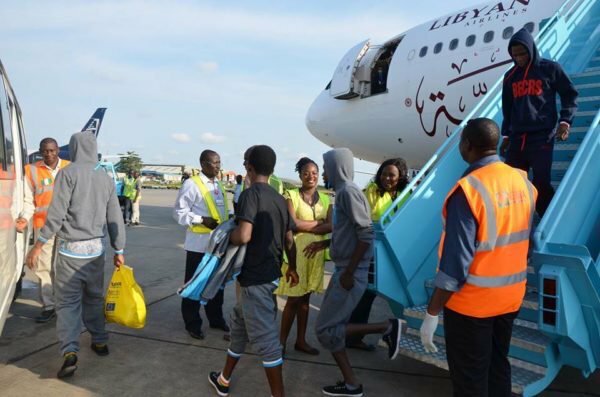 According to Edo Justice Commissioner, Yinka Omorogbe, 215 boys, 58 girls and 2 infants arrived Benin city from Libya today. She added that Edo state Task Force on Human Trafficking has received 1100 Edo indigenes from Libya between November and December 2017. She added that more Edo indigenes will arrive Benin city from Libya on Friday. Na only Edo people waka come?